This post by Jimmy Chickey was originally published on ActiveRain. Follow him on Twitter: @jimmychickey. Technology can be a great help in your real estate career. However, just because it is the new “flashy” thing doesn’t mean that it will actually make you more productive. I can say from experience that many tools end up just getting in the way and actually can slow you down. With that in mind, here is the the seventh tech tip that has proven to be a great help with my real estate business. 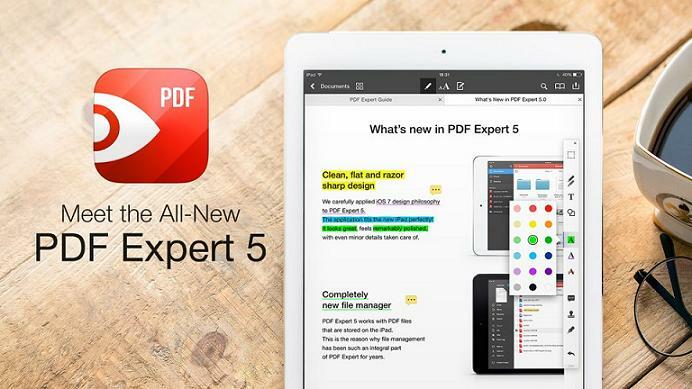 PDF Expert 5 by Readdle is a fantastic app for the iPad that allows me to edit PDFs and have clients sign contracts. It is a great time saver and helps me organize and keep track of files with its Dropbox compatibility. I use an iPad for much of my real estate business, and it is the go-to device for creating a paperless environment. Obviously, I use PDFs with most of my real estate paperwork. I also use Dropbox extensively to help me organize paperwork. PDF Expert links to Dropbox (and iCloud for that matter) so that I can easily access and edit any file. 1. When showing homes here in Las Vegas, I create a PDF of the homes to be shown that day and notate them using PDF Expert using my iPad. I then save that file in the client’s folder on Dropbox with the date in the title so that I can easily remember what homes were showed with that client on any given day. This is a great help if you are one of those real estate agents who has a desk full of MLS sheets with your notes on them. If you want a clean desk, consider this option. 2. When I need a client to quickly sign a document and electronic signatures are not an option, I just have them download the app and sign the docs at their home. They can then email the docs to me with “wet” signatures intact. It is a great time saver. Here is a great video that shows all that it can do. Here are more in-depth directions on how to use PDF Expert.